If you have taken the decision to switch to wooden flooring, then chances are that you would have realized how important it is consider the various steps involved before taking the leap. One of these decisions also involves using an underlay and understanding why it’s important in the long run. · Avoid harmful disasters: If you want your wooden flooring to be saved from all types of harmful disasters which can happen, it’s imperative to use an underlay. Not only does it preserve your wooden flooring, but also helps provide a decent layer of insulation, thereby keeping your house warm and snug in winters. · Cushioning factor: If you have small toddlers in the house, who are just learning to walk, then an underlay will go a long way to help them cushion the blows when they fall. Not only will your kids benefit, but you would also like the feel of the softness beneath your feet, as you walk from one room to another, on a soft underlay. · Even out subfloor imperfections: When you have a wooden flooring, it’s necessary to make sure it is evened out, without any imperfections. 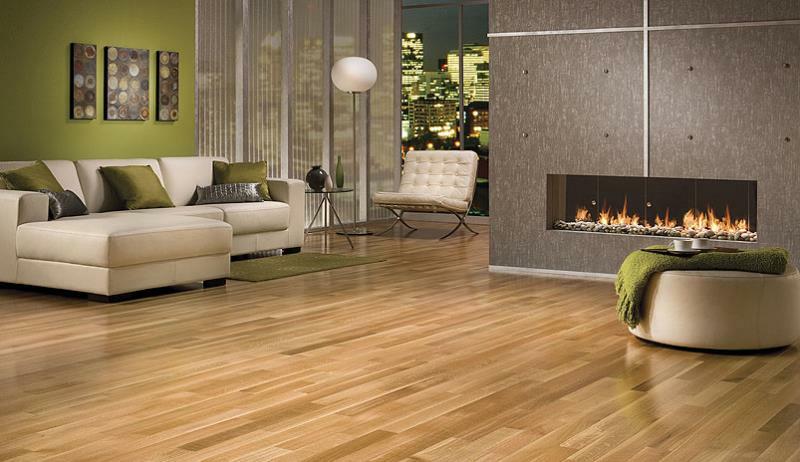 An even out flooring would mean greater stability and longer durability. Although, such problems need to be addressed at the time of installation, nevertheless, the minor flaws can be taken care of by an underlay. · Keeps your flooring warm: Most of the times, a lot of people use an underlay to maintain the insulation within the house. If the floors are nice and warm, chances are that there would be less instances of your wooden flooring absorbing water and expanding with seasonal variations. · Helps in moisture reduction: Since there are different types of underlay available in the market, you have to be picking carefully, depending on the need of the hour. In order to keep your floors dry, you should always pick an underlay with attached vapor barrier. If your floors get damaged due to moisture, chances are that its life will get shortened drastically. A wet wooden floor will eventually have to be replaced since there is no other way to make it survive such a tragedy. Wooden floors are extremely flexible and can go a long way in making sure they prove to be the perfect asset for your house. An underlay is the perfect addition to your wooden floorings, which can help your floors go a long way when it comes to surviving the harsh realities of everyday life. In order to make the underlay work, it’s important to choose wisely in the initial stages, to avoid any kind of sudden aftershocks. If all the problems are ruled out initially, chances are that your wooden floors will get a new lease on life and give you maximum return on your investment. Right from preserving your floors, to providing an extra layer of comfort to your feet, you name it and you have it.